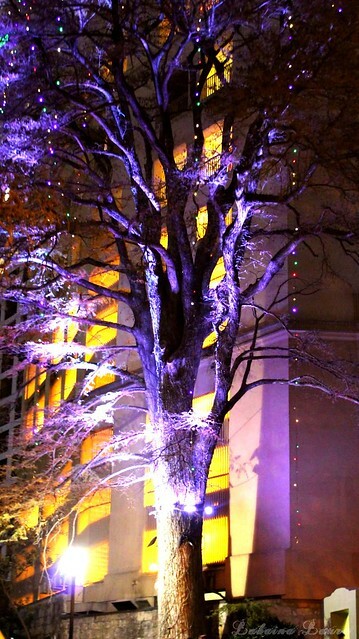 The inspiration for this post came from a couple of facebook friends who were complaining about Christmas in July sales; as I’d mentioned in my post https://lahainalaura.wordpress.com/2012/03/20/riverwalk-at-christmas-i/ the city changed to wrapping the trees with LED lights in 2011 to the dismay of many resident, in 2012 they returned to draping rather than wrapping the lights as had been done in previous years. 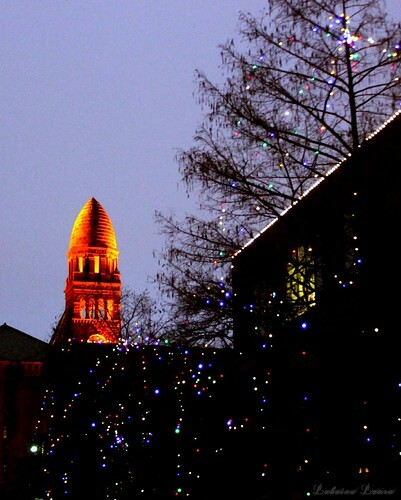 These are a few pictures from this past Holiday Season on the Riverwalk. The oldest tree on the Riverwalk. 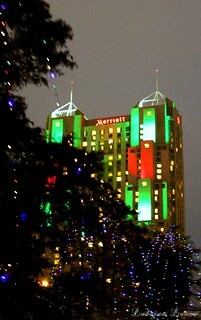 The Hilton Palacio del Rio and Marriott Rivercenter. This entry was posted on July 29, 2013 by LahainaLaura. 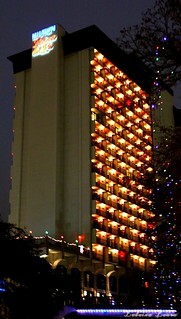 It was filed under Deep in the Heart, San Antonio and was tagged with Christmas In July, San Antonio, san antonio riverwalk, Texas.